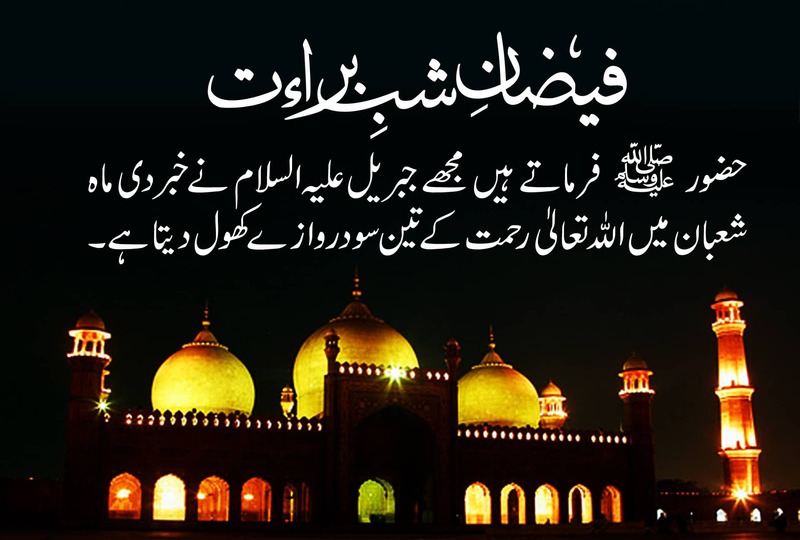 Shab-e-Barat will begin in the evening of Saturday, April 20, 2019 and ends in the evening of Sunday, 21 April. 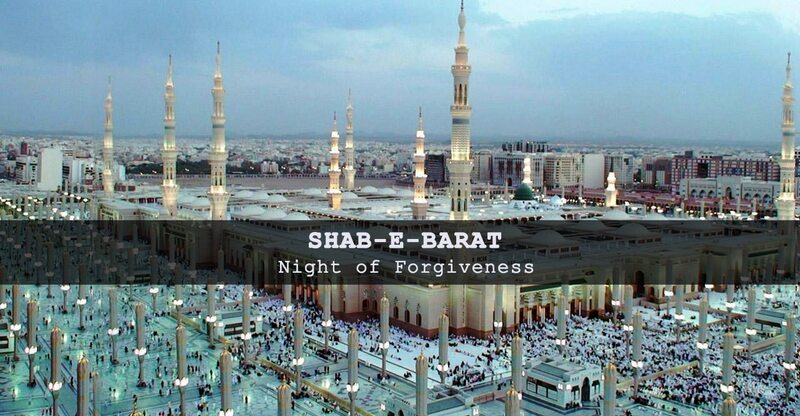 Shab-e-Barat (Laila-tul-Bara’at) or also known as the Mid-Sha’ban is the night between the 14th and the 15th of Sha’ban. It is an Islamic holiday observed in Islamic countries/states. This night is the night when the fortunes for the upcoming year of men/women are decided and finalized by Allah. It is also noted that Allah forgives the sins of many people. According to a Hadith, this night is called “Nisf Shaban” The meaning of “Nisf Sha’ban” is the 15th night of the month of Shaban. This night is considered as a very blessed night. One must remember his past sins on this night while praying and ask for forgiveness from Allah as He is the most merciful. You should set your mind completely that you want forgiveness for your sins and that you will never commit any sin afterward. Moreover, all such deeds that are forbidden in Islam must be avoided so that your Astaghfaar and Dua could be accepted by Allah. And it is known that Bani Kalb had a large number of sheep more than any other tribe could possess. It is noted that one must perform proper Ghusal and Wudhu to welcome this night with prayers. After performing the Ghusal and Wudhu, you need to perform Tahhiyatul Wudhu’s 2 Rakaat. In each Rakat, recite Ayat ul Kursi after Surah Fatiha and then, recite Surah Ahad for 3 times. Also, perform 8 Rakaat of Salah with 4 Salaams. After reciting Surah Fatiha in each Rakat, recite Ayat ul Kursi and then, recite Surah Ahad for 50 times. What to do right after sunset? Recite “La Hawla walaa Quwwata illa Billa’hilaliyil Azeem” for 40 times right after sunset. Also, recite Durood e Pak 3 times before and after reciting it. 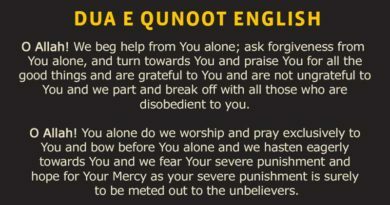 It is said that by reciting this, Allah will forgive 40 years of your sins and shower His blessings and mercy upon you. More than that, it is also said that along with the forgiveness, there are 40 Hoors waiting for you in Jannah if you recite this! How to spend this Night? On Shab e Barat, recite Durood e Pak abundantly and perform Nawaafil as much as you can. You must also recite the Holy Quran along with Kalima Tayyaba and Astaghfaar. If one recites Surah Dukhan for 7 times, Allah will reward that person with seventy worldly needs and seventy deeds in the Hereafter. Moreover, the Shia Muslims consider this date as the birthday of Muhammad al-Mahdi. People having this belief celebrate Muhammad al-Mahdi’s birthday by performing certain religious acts as worship, fasting, and prayers. 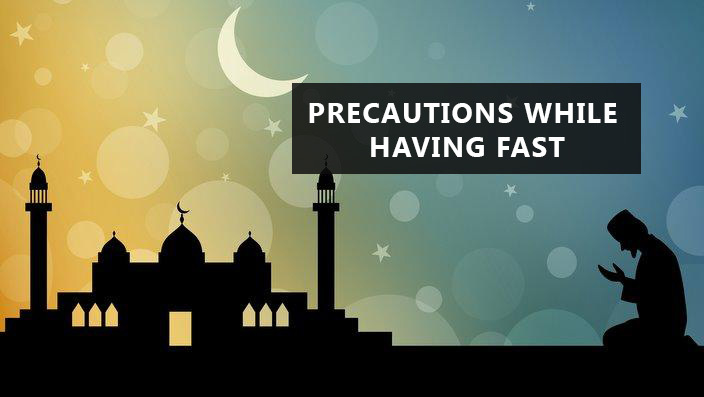 To Protect Your Imaan: Perform 2 Nawaafil after the Maghrib prayer. In the first Rakat, recite Surah Ikhlas three times and recite Surah Falaq just once after Surah Fatiha. In the second Rakat, recite Surah Ikhlas three times and then, recite Surah Naas for once. At the end of the prayer, ask Allah to protect your Imaan and He surely will. Good News of Jannah: If a person performs 100 Nawaafil on this night, Allah sends 100 angels. 30 angels will give the good news of Jannah. The other 30 will protect you from Azaab. Next 30 will remove your miseries and misfortunes. The remaining 10 angels will protect you from the Satan. Excess in Rizq: After the Maghrib prayer, perform 2 Nawaafil and recite Surah Yasin once. Then recite Surah Ikhlas for 21 times and at last, the dua of Nisf Sha’ban. When you are done praying, ask Allah to provide Barakah in your rizq and that He may never make you dependent on anyone except Him. Death with Complete Imaan: Perform 2 Nawaafil on the last Friday on Sha’ban after Maghrib and before Isha. You will die with complete faith. Recite Ayat ul Kursi once, then, recite Surah Ikhlas ten times. Recite Surah Naas and Surah Falaq for once in both the Rakaat. 10,000 Good Deeds – Reward from Allah: If you perform 20 Nawaafil after the Maghrib prayer and recite Surah Ikhlas ten times after Surah Fatiha, you will be rewarded with 10,000 good deeds in your record (Amal Namaa). Life of Righteousness: Perform 2 Nawaafil after the Maghrib prayer. Recite Surah Yasin then, recite the dua of Nisf Shaban. Make dua for a life of righteousness from Allah and He will surely listen to your prayer. Moreover, if you perform Salaatul Tasbeeh on Shab e Barat, it is a very virtuous act. 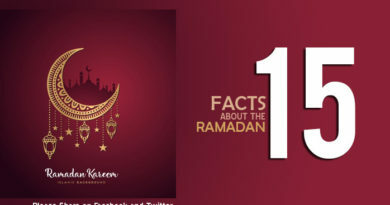 As you know that this night holds great significance for all the Muslims in the entire world; you know that praying on this night is highly recommended to collect Allah’s blessings and ask for forgiveness because on this night your sins can be forgiven and your fortune is decided for the upcoming year so, by praying you can make it better!